Excerpted from the Sutherland Centennial 1891 – 1991, published in 1991. He remained in Marion County, where he acquired an education and assisted his father until 1886. While his parents had already moved to Lincoln County, he stayed on in Marion County, Iowa until the spring of 1886. After his arrival in the region, he homesteaded a quarter section of land, proved up on his claim, and placed it under cultivation. In the meanwhile, some of his neighbors became unwilling to continue their efforts on account of the hardships which always prevail in a new district; and he added to his holdings at a higher price until in 1920 he had 3,000 acres on which he had made all of the improvements himself. 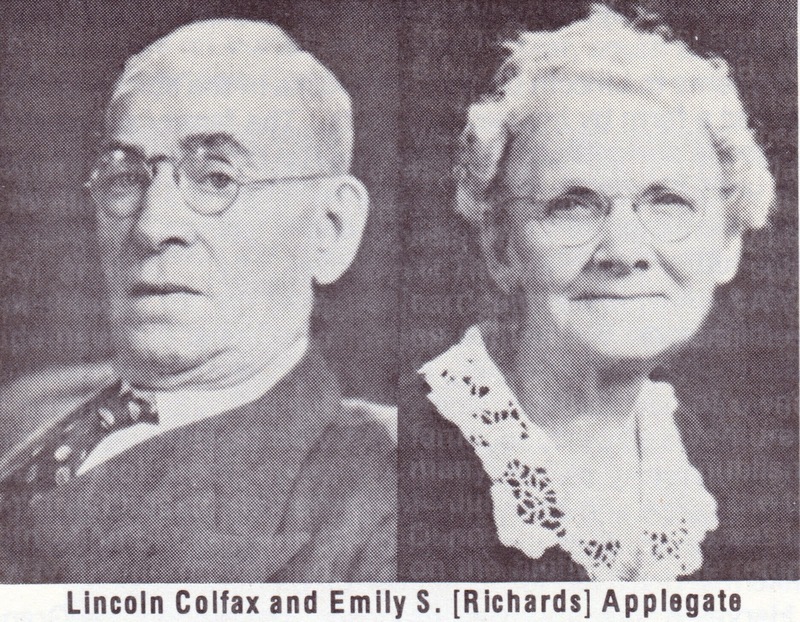 Lincoln married Emily S. Richards who was born July 15, 1875, on November 24, 1897 in Cheyenne, Wyoming. 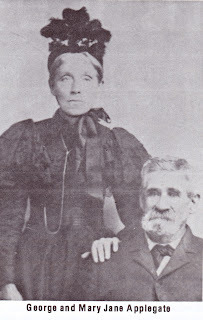 She was born in Wisconsin, but had moved to Keith County with her parents, Edward E. and Mary Jane (Tunstall) Richards, both natives of England. Emily Susan Richards passed away February, 1963. There were eight children in the Richards family. Lincoln engaged in general farming and stock raising and was very successful up to the time of his death on November 1, 1944. Lincoln and Emily became the parents of the following children: Mary, Laura, Ellen, Harvey, Clarence, Elizabeth, Woodrow, Jeanette, Walter, and Francis and Chauncey, both of whom died in infancy. He was a member of the Episcopal Church, and a member of the school board of District No. 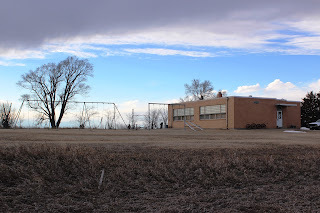 27, also known as Excelsior School. The following is a short history of the Applegate children. Mary married Marion Brown, and their children are Tom, Georgia, Robert (Bob), Lucille, and James. Mary passed away in 1989. Laura was born on April 18, 1902, and married Norris Anderson, who was from South Dakota. They had no children. Laura died on August 3, 1944 with complications of emphysema. She’s buried in the Sutherland Cemetery. Laura taught the Anderson School south of Maxwell for approximately one year, then attended business school in Denver, Colorado. In approximately 1925 she moved to California where she studied to become a nurse, embarking in the nursing profession at the Methodist Hospital in Los Angeles, California. Ellen was born on August 29, 1903. She graduated from the Sutherland School in approximately 1922. She never married. She taught school at the Boyle School, and at the Bussmer School north of Sutherland. She moved to California and continued teaching at the Herbert Hoover High School in Glendale, California. She is now (1991) living in a retirement home in Yountville, California. 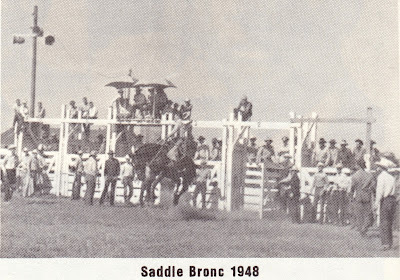 Clarence was accidently electrocuted south of Sutherland in September 1956. Woodrow lived up in the Sandhills after the war, but did not like it there and moved to North Platte. He sold his property when he became ill with Multiple Sclerosis. He then moved to Old Mexico to be in the warm weather year around. He died in 1981 and is buried in the Sutherland Cemetery. Elizabeth married Alvin Hahn also from South Dakota and he was a cousin of Norris Anderson who married Laura. Jeanette married Walter Quillin from Grand Island and she is living in Grand Island today (1991). Harvey was born on January 16, 1907. Walter was born in 1916, and was killed in a construction accident in San Francisco, California. He preceded Woodrow in death.